After the Occupation of Czechoslovakia, hundreds of young Czech men left the country in order to join a military unit that would fight against the Nazis. Unable to join the French Army, which only enlisted French citizens, Czechs signed up with the French Foreign Legion on the condition that when war broke out in France, they would be able to form and serve in aCzechoslovak Army unit abroad. military pilots, who flew and fought with French pilots, were credited with shooting down at least 129 enemy aircraft. first to volunteer for Special Group D.
Josef Gabčik was born in Poluvsie in western Slovakia. Before joining the Czech Army in 1934, he was a blacksmith and locksmith. After discharge from the armed forces, he traveled to Poland, then soon after the start of WW II, he journeyed to France. Unable to join the Allied forces fighting the Nazis in France, he joined the French Foreign Legion and later the Czechoslovak Foreign Army, taking part in French war campaigns and receiving awards for bravery. After the fall of France to the Nazis, he and other Czechoslovak soldiers traveled to Britain where Czechoslovak Army Divisions were stationed and trained in exile. Jan Kubiš was born in Dolní Vilémovice in southeastern Czechoslovakia in 1913. After becoming an apprentice boilerman, he joined the Czech infantry and served in northern Moravia until 1939, when he went to France via Poland and joined the French Foreign Legion. For heroic duty with the 1 st Reserve Foreign Legion Battalion in Agde, he received the French War Cross. Gabčik was one of the first to volunteer for operations behind Nazi lines in Czechoslovakia. He was assigned to Operation Anthropoid. 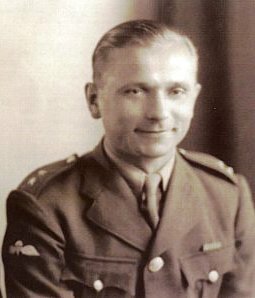 Kubiš became a member of Anthropoid when another member of the Czech special forces unit was wounded. impress Allied leaders. Once Heydrich took command and unleashed his reign of terror on Czechoslovakia as ReichsProtektor, the assassination became imperative, not only to serve as retribution for Heydrich’s actions against Czech citizens but to prove to Nazis that even the highest in their command were vulnerable. The operation designed to carry out the assassination was given the code name Anthropoid. Preparations began on October 2, 1941, and the assassins were air-dropped into Czechoslovakia in late winter. On the morning of May 27, 1942, Heydrich left his summer estate, located 9 miles north of Prague city center, traveling in an open Mercedes-Benz convertible. When asked why he courted danger in this way, he said he was not worried. He compared Czechs to blades of grass that bent whichever way the winds of war-- and opportunity-- blew. As Heydrich’s limousine slowed to make the sharp turn onto Rude Armady in the Prague suburb of Holešovice, the assassins attacked. Gabčik pulled a submachine gun that had been hidden under his coat and aimed at Heydrich’s face, but the weapon jammed. Heydrich rose, stepped out of the vehicle, drew his pistol, and aimed at Gabčik as he ran away from the automobile and down Armady. Kubiš, positioned behind and to the right of the limousine, pulled out a plastic explosive and lobbed it toward the open backseat of Heydrich's limousine. The bomb missed the target, bounced on the fender, and fell to the street where it exploded against the rear wheel. The explosive tore a hole in the side of the automobile, flattened the tire, cracked the windshield, and sent shrapnel into the windows of a passing tram. Hit by shrapnel from the side door, springs, and car seat stuffing, Heydrich was seriously injured but still able to stumble away from the auto and fire off a series of rounds at the departing assassins. After taking a few steps, he fell to the street; one of his ribs was broken, his diaphragm was ruptured, and shrapnel was lodged in his spleen. Once at the hospital, Heydrich refused to be treated by the local doctor and waited for a surgeon from Berlin to come and perform the needed surgery. Despite the ministrations of Hitler’s own personal physican, Heydrich died from blood poisoning on June 4, 1942. Sources: Bryant C: Prague in Black, Harvard Univesity Press, 2007. 70 th Anniversary of Reichsprotektor Heydrich’s rule over Bohemia and Moravia. Assassination: Operation Anthropoid, 1941-1942, M Burian, et al, Prag 2002, copyright Ministry of Defence of the Czech Republic, Avis, 2002, pp 12-60.